This entry was posted in Health & safety culture on 2018/03/07 by Susan. 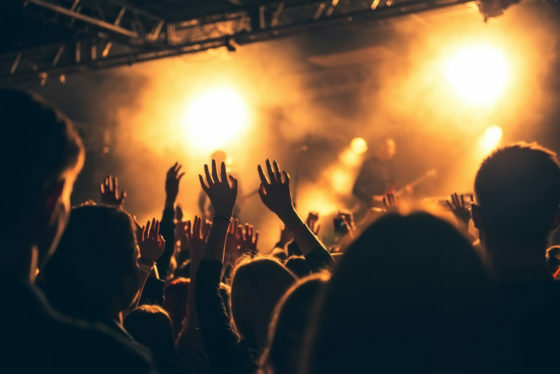 Many venues in the live event industry are adding naloxone to their first aid kits and developing procedures and best practices to address opioid overdoses. It can happen anywhere, including theatres, music venues, and wherever else people go for live entertainment. In 2017, more than 1,400 people died of drug overdoses in B.C. – with most of the overdoses linked to fentanyl. That’s why an increasing number of people in the event industry are adding naloxone to their first aid kits. Naloxone is an injectable or inhalable drug that reverses the deadly effects of opiate overdoses. It can “buy time” for people who might not otherwise survive until an ambulance arrives. I spoke to Keith Tyler, director of training for St. John Ambulance BC & Yukon, as he was preparing for his session at Actsafe’s 2018 Event Safety Conference: Opioid Overdose Management in the Workplace. He told me he generally speaks about all the practical aspects of implementing an opioid overdose management plan within a workplace or first aid program. This includes training, equipment, policies, procedures, and workplace safety requirements. Keith also told me that the stigma associated with opioid addiction and drug use can affect some people’s willingness to administer naloxone. Some first aid attendants and venue management do not want to offer naloxone, for a variety of reasons. Instead they wait for 911 to send an ambulance. Don says lots of people in the live event industry are developing procedures for dealing with opioid overdoses on their premises. He wants to hear how they are dealing with the situation at their own venues, and to establish best practices. Of course, people call 911. But do they have a naloxone kit on site? Have all of their staff members been trained to administer naloxone? The B.C. government has a Take Home Naloxone program that provides training in overdose prevention, recognition, and first aid response as well as naloxone kits at no cost. People at risk of an opioid overdose or likely to witness and respond to an overdose are eligible for the program, which is delivered by participating community pharmacies throughout B.C. More information about the Take Home Naloxone program is available at Toward the Heart, a service of the BC Centre for Disease Control. Some key links about naloxone and how to administer it are included on a web page from the B.C. government. Read more in this CBC story: B.C. government to provide free take-home naloxone kits at pharmacies throughout province. See my post Can occupational first aid attendants administer naloxone?